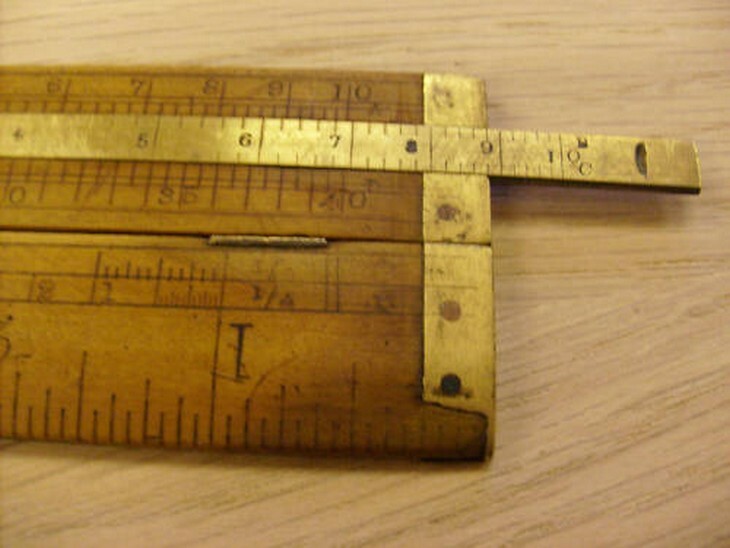 Nice example of a carpenter's rule by Rabone incorporating a brass slide rule in the upper arm. Classic Coggleshall log scales on top. 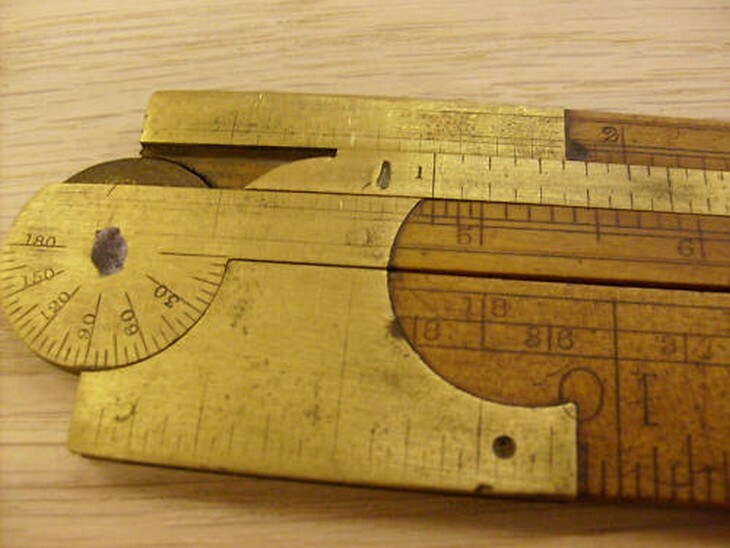 1/4 and 1/2 scales on bottom with inches on bevelled edge, protractor in hinge marked with degrees 0-180 x 5. Reverse is standard inches + square and line scales . The first widely used standard form for a logarithmic slide rule is the two-foot, two-fold design devised by Henry Coggeshall around 1677. This one by John Rabone and Sons of Birmingham would have been made in the late 1800's. D Scale length: 140 mm. Significant digits: 2.7 to 3.3.